I love a nice glass of wine on occasion. Sadly, I’m the only one in my household who drinks wine and I only drink one glass or so, every once in a while. This makes opening a bottle of wine a bit of a waste, since it’s pretty much impossible to reseal a bottle of wine after it’s been opened. 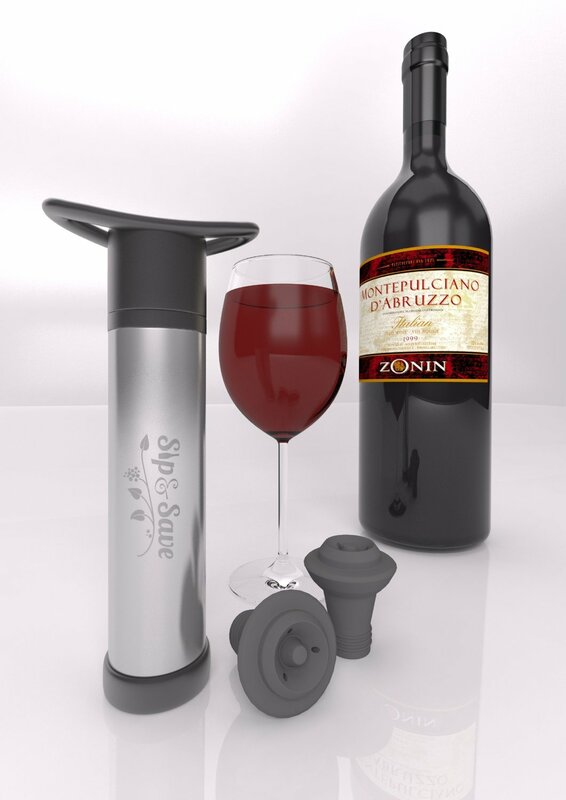 When Fabulously Functional asked me to try their Sip & Save Wine Preserver in exchange for an honest review, I was ecstatic. Here was a chance to have a nice (big) glass of wine and be able to preserve the rest of the bottle to drink later. I’m huge champagne lover, so luckily had the foresight to read my instructions. This product is NOT for sparkling wines or champagnes. 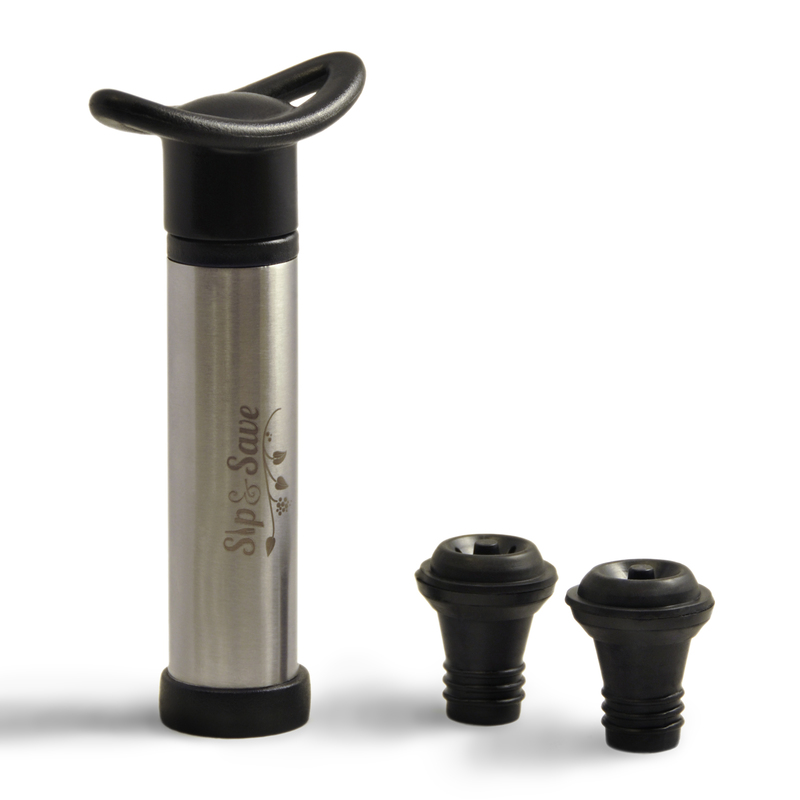 The Sip & Save Wine Preserver is a wine pump that is designed to extract the air from an opened bottle of wine, thus slowing the oxidation process. This keeps your wine fresh. This is a high quality tool made of stainless steel, ABS plastic, and silicone and is designed to provide years of use. It’s even dishwasher safe. 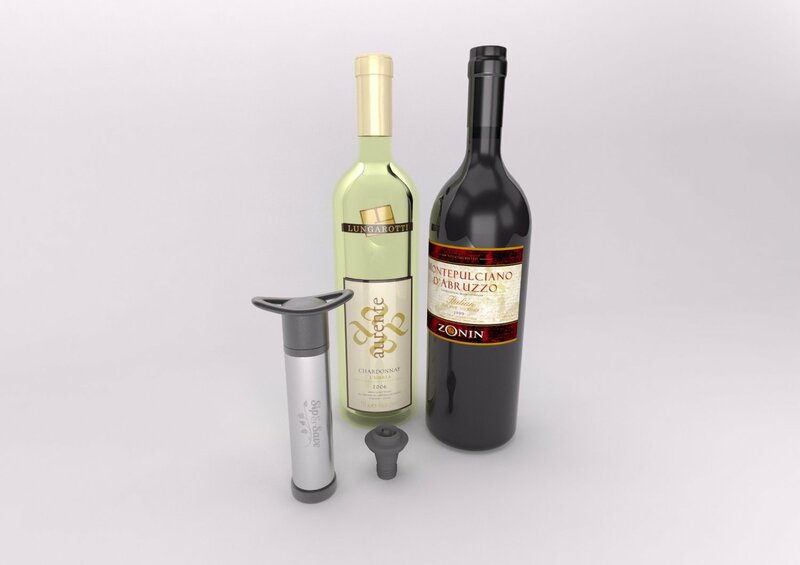 In addition, the Wine Preserver comes with two reusable push-button wine stoppers, so you can have two bottles of wine opened and sealed properly at one time. If you’re like me, you might want red wine one night and a nice, smooth white wine the next. With these two stoppers, you can have both. 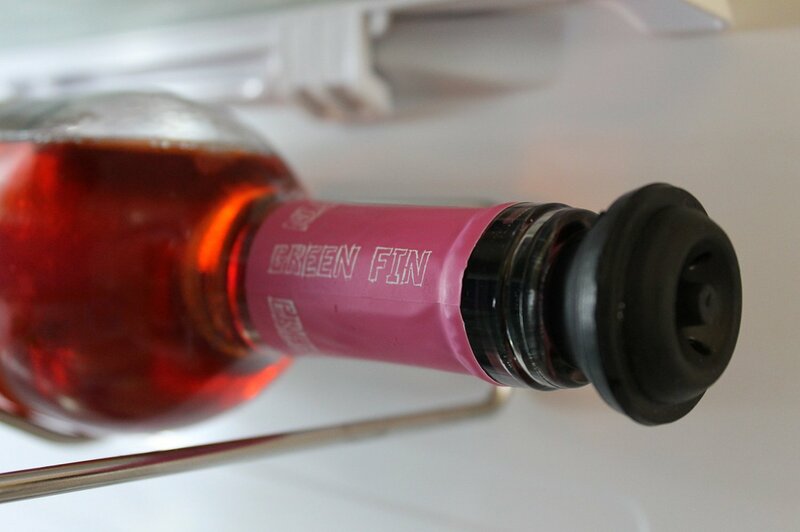 Use the pump to remove the excess oxygen, and the wine can be safely sealed for 4-7 days. I’ve used other seals, and have never been able to lay the bottle down after sealing. The bottle ALWAYS leaks. 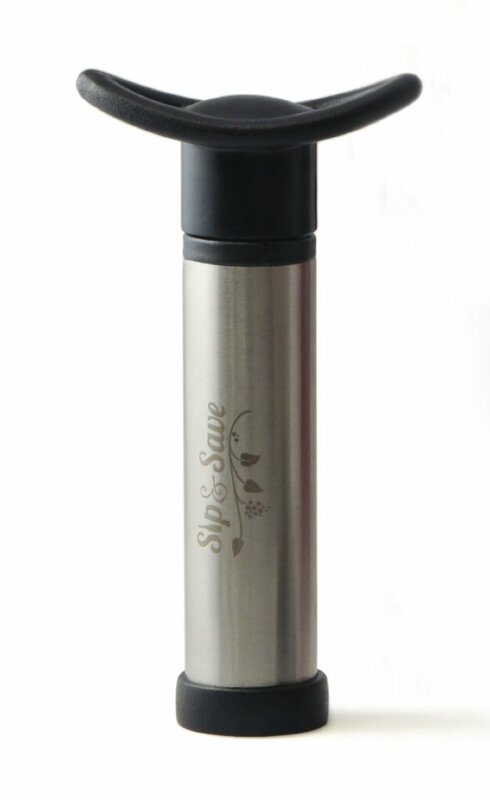 I read the information on the Sip & Save and discovered that, with this product, after I sealed my bottle, I could lay it horizontally without worrying about leakage. At first, I was skeptical, but I tried it, and my bottle did not leak, even after 4 or 5 days! This product is great and the company is wonderful, too. The communication from the staff is outstanding. I had questions, and I got answers, quickly and professionally. I love working with a company that employs people who will talk to me. With outstanding customer service and a product that works even better than I’d expected, this company easily rates 5 well-preserved stars! All opinions stated in this review are my own. I would never recommend a product I would not or do not use in my own household. If you’ve been reading my product reviews, you know I’m a strong supporter of probiotics. In the past, I reviewed a different probiotic produced by this company, Microbiome Plus + Gastointestinal. 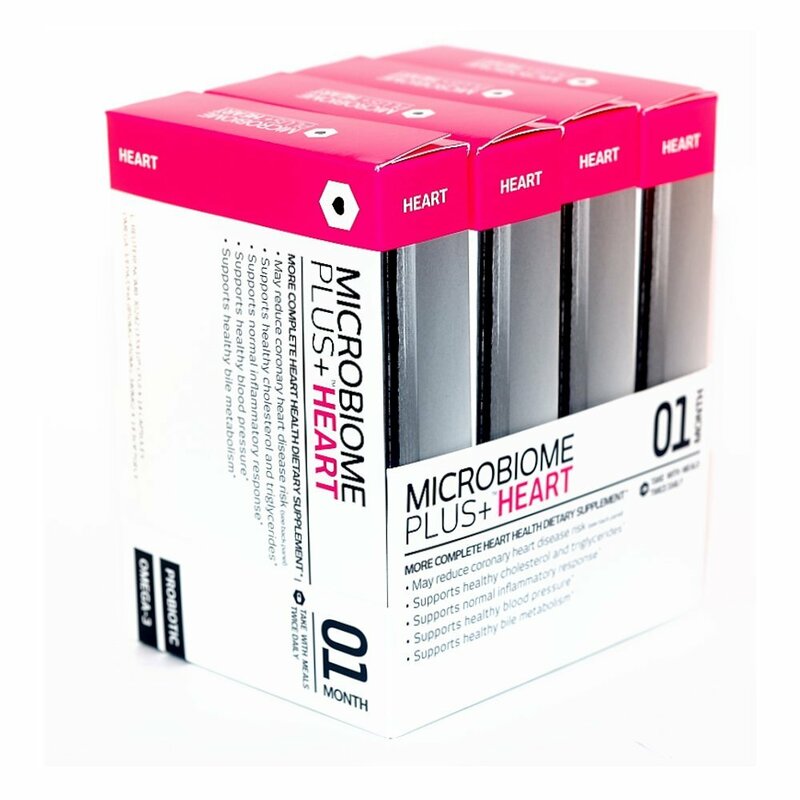 I loved that probiotic, so I was thrilled when I was presented the opportunity to try Microbiome Plus + Heart in exchange for an honest review. 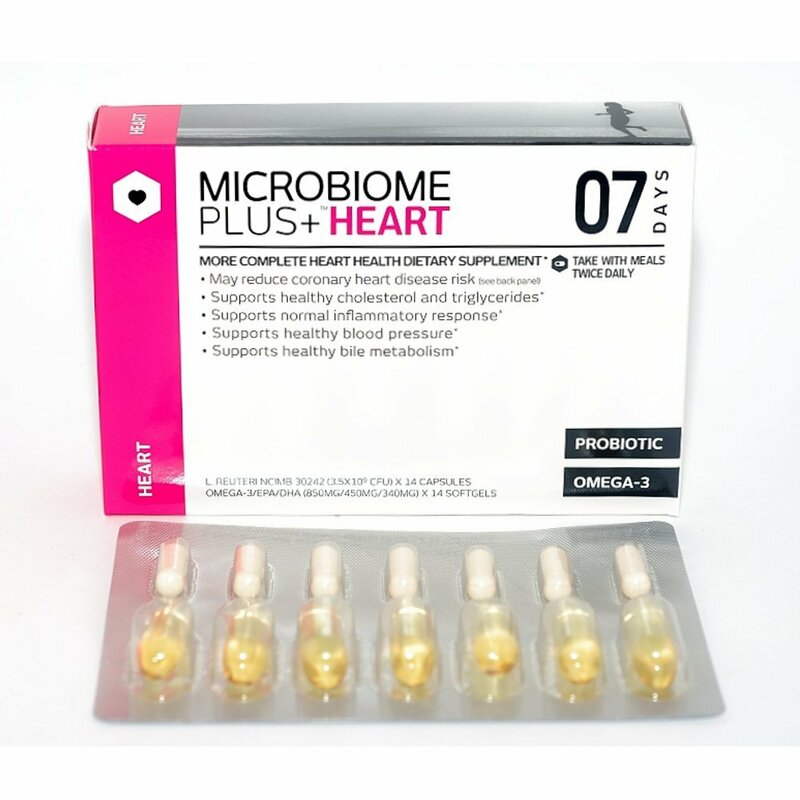 In addition, the company is also offering a free box of Microbiome Plus + Heart to one of my followers. Please find the giveaway information at the bottom of this review. 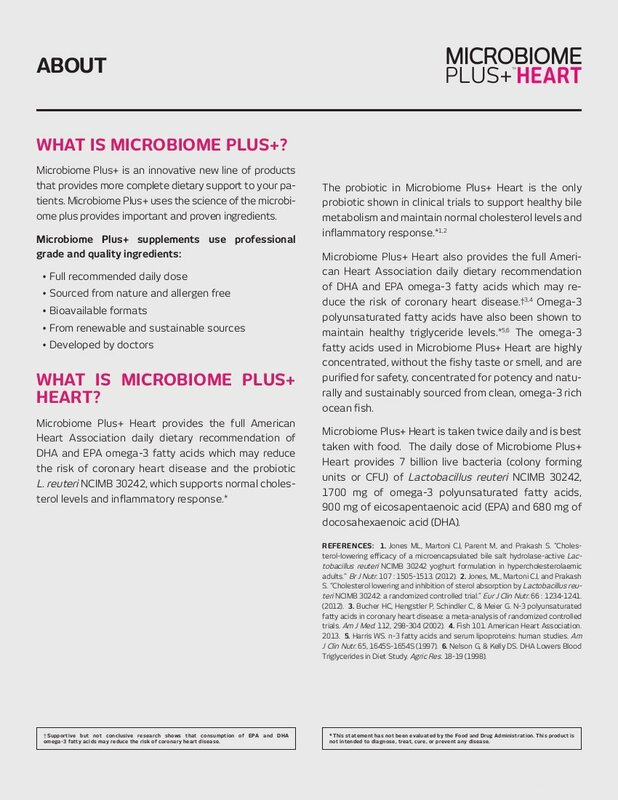 According to information provided by the company, Microbiome Plus + Heart is both a probiotic and an omega-3 supplement, providing the full daily American Heart Association dietary recommendation of omega-3, which may reduce heart disease. It also contains the probiotic L. reuteri NCIMB 30242, which supports normal cholesterol levels and inflammatory response. This means that, not only is the body getting the excellent intestinal protection Microbiome Plus is known for providing, but also an added level of protection for the heart. 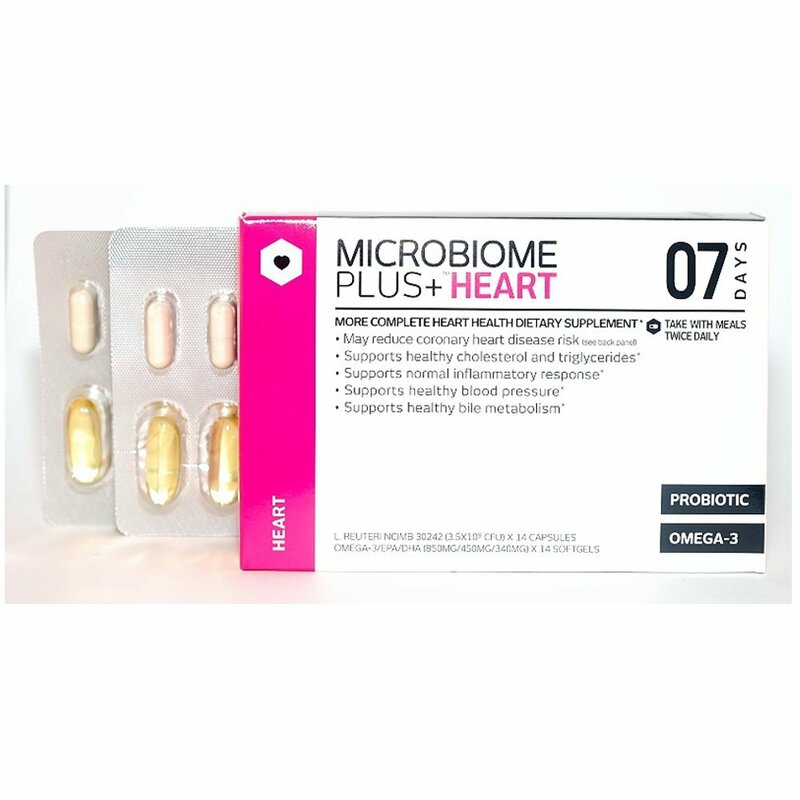 Company information states that Microbiome Plus + Heart is designed to support healthy cholesterol and triglycerides, a normal inflammatory response, healthy blood pressure, and healthy bile metabolism. For more information about Microbiome’s products, check out the company’s website at http://www.microbiomeplus.com. I suffer from high cholesterol, and have a serious family history of heart disease. While my blood pressure is usually good, my family history in that department is also pretty grim. I was amazed to find I could potentially decrease my cholesterol, and protect against the other maladies, while taking my daily probiotic. I’ve taken probiotics for many, many years, and consider myself something of an expert. I suffer from severe food, environmental, and pet allergies, so it’s been necessary for me to take a probiotic since I was in college and finally received an accurate diagnosis. Without assistance, and a strict diet, my “bad” yeast tends to take over my body. A good, quality probiotic goes a long way toward maintaining a healthy balance of the good and bad yeasts within the body. I continue to find myself quite pleased with this company’s products. The way the company divides the medication into a morning and evening dose, with two pills: one is the probiotic and the other is the omega-3. It’s always easy to remember whether you’ve taken your daily medication and whether you’ve taken both your morning and evening doses. Both the convenience of the packaging, creativity and helpfulness of the daily dosages, and the effectiveness of the product combine to make this a truly great product. 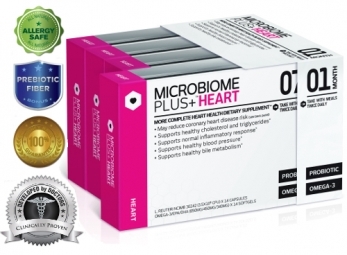 I rate Micobiome Plus + Heart a healthy 5 stars. All opinions in this review are my own. I would never recommend a product that I do not or would not use myself or in my own household. Now for the giveaway information: If you use probiotics, or have always wanted to try one, here’s your chance. This particular probiotic is Microbiome Plus + Heart. You can enter my giveaway by commenting on my Facebook page at https://www.facebook.com/MichelleSWillms, via Twitter (my Twitter handle is @willms_m), or on either of my blogs: http://michelle-willms.tumblr.com or https://michellewillmsblog.wordpress.com. If you comment on one of the blogs, be sure to leave a way for me to contact you. The contest ends Thursday, April 5, 2015.